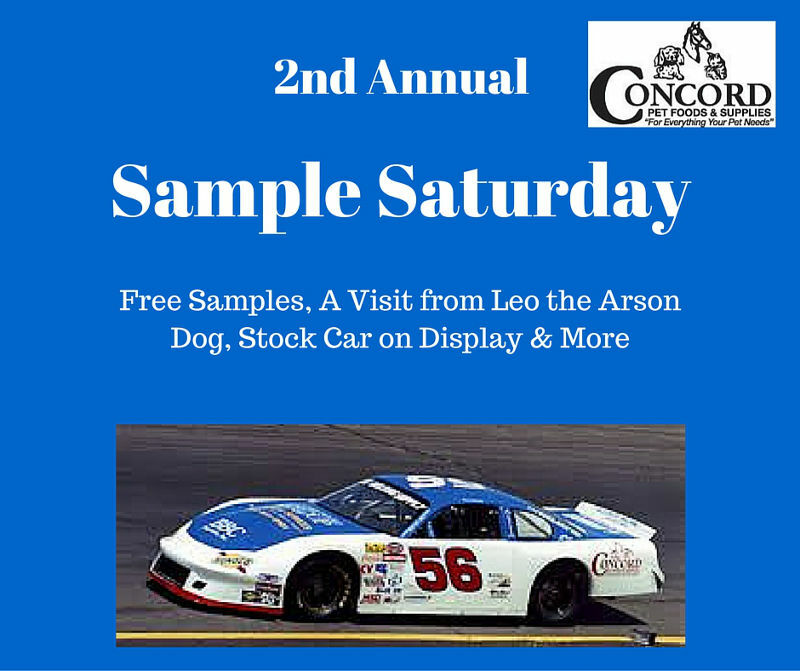 Come out to the Concord Pet Paoli location to celebrate the 2nd annual Sample Saturday! The Lieberman Racing late model stock car will be on display! Plus, customers can visit with various representatives from dog food companies and get FREE samples. Leo, the arson dog, will be performing at noon. Leo is Chester County’s only arson investigation dog and he and his handler JD will be showing off their stuff! Additionally we will have several rescues there with adoptable dogs and information tables!